The FinFerries Modern Hybrid Double Ended Ferry ELEKTRA won the international SHIP OF THE YEAR AWARD at the marine industry’s Sulphur Cap 2020 Conference in Amsterdam. It is an esteemed, annually given accolade determined by a nomination from a judging panel of international experts and then open voting on the Sulphur Cap 2020 Conference website. Cardissa (Shell) – the world’s biggest seagoing LNG bunker vessel. 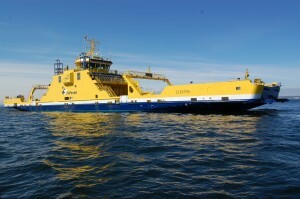 It is very manoeuvrable and can deliver LNG at 1,000 m3/hr. A specialised loading arm clamps onto a ship’s bunkering manifold. Christophe de Margerie (Sovcomflot) – The world’s first icebreaking LNG carrier and was the first merchant vessel to pass through the Northern Sea Route without an icebreaker. The ship is the culmination of 10 years’ planning. 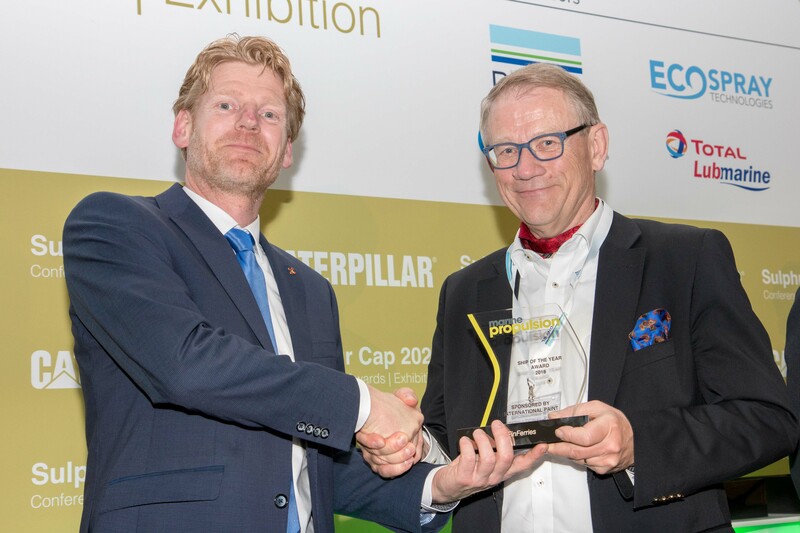 The winner’s announcement was the finale that ended the night of the Sulphur Cap 2020 gala dinner on 17th of April 2018. The Modern Hybrid Ferry ELEKTRA (project no. P310), the second battery ferry in Europe and the first ferry in the world to charge its batteries directly from the shore electricity supply was ordered by FinFerries and built by shipyard Crist. StoGda basing on the Owner’s concept provided complete design, including Contractual Design, Basic Design, model tank tests (including maneuverability lake test and ice tank tests), Workshop Documentation and As Built Drawings. 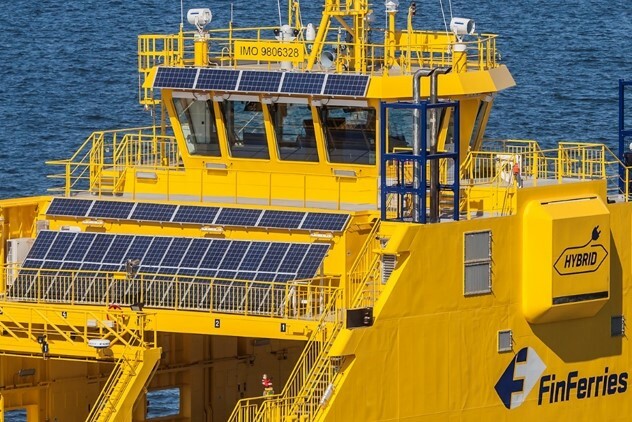 StoGda was also responsible for designing the Ro-Ro equipment installed onboard. Thank you very much for supporting the ELEKTRA in voting!! !